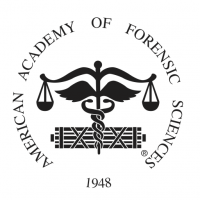 The American Academy of Forensic Sciences is a multidisciplinary professional organization that provides leadership to advance science and its application to the legal system. The objectives of the Academy are to promote professionalism, integrity, competency, education, foster research, improve practice, and encourage collaboration in the forensic sciences. Learn more. The International Association of Forensic Toxicologists (TIAFT) comprises about 1500 members from all regions of the world who are actively engaged in analytical toxicology or allied areas. The TIAFT has approximately 50 Regional Representatives who represent TIAFT in their respective areas of the world. They process requests for TIAFT membership, are responsible for liaison with related scientific societies in their areas and serve their local TIAFT members as their needs arise. The aims of this association are to promote cooperation and coordination of efforts among members and to encourage research in forensic toxicology. Learn more. The Society of Forensic Toxicologists, Inc. is an organization composed of practicing forensic toxicologists and those interested in the discipline for the purpose of promoting and developing forensic toxicology. Learn more.